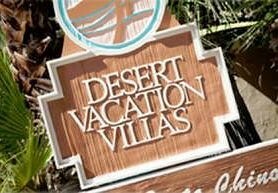 Wel­come to Desert Vaca­tion Vil­las – All The Com­forts of Home in a Resort Set­ting. Situ­ated in the foothills of the San Jac­into moun­tain range, Desert Vaca­tion Vil­las is the per­fect spot for you to relax and enjoy the beau­ti­ful desert scenery and the excite­ment of Palm Springs. Close to down­town, our resort offers plenty of room for fam­i­lies look­ing for spa­cious accom­mo­da­tions and cou­ples seek­ing a cozy, tran­quil environment. Immac­u­late rooms, spec­tac­u­lar views, pool and hot tub – a clas­sic Palm Springs Experience. Desert Vaca­tion Vil­las is con­ve­niently located near the Palm Springs Aer­ial Tramway, and is just a short drive from golf courses, ten­nis courts, canyon hik­ing trails, spas, casi­nos, and a great vari­ety of excel­lent din­ing experiences.